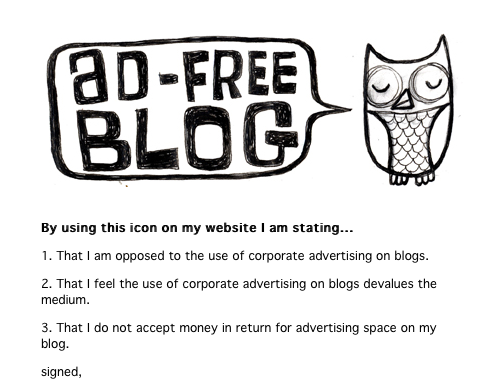 … but, it’s (hopefully) well known by now that I don’t accept advertising, promotions, or cross-links for any products or services on this blog. I do, of course, mention books, products and services from time to time … but, only those that I genuinely use and like, and I NEVER accept payment or join affiliate programs. 2. Even if I donated that extra few bucks to charity (I give plenty, already) YOU wouldn’t know or believe me, even if I said that’s what I was doing. However, what I would like to see is a ‘community service’ advertising program, where a trusted third-party places ads on your site, collects the revenue (or, maybe the spots are free community service announcements), which goes directly to a panel of trusted and worthwhile charities and/or non-profit organizations. Anybody up to the challenge? Give me an exec. summary of your business plan! This entry was posted in Business and tagged 7million, 7million7years, Business, Investing, millionaire, money, Rich, Starting Out, trump, wealth by Adrian. Bookmark the permalink. That’s a genius idea…a gratis advertising network for charities. It could even be a great for profit business by charging just a tiny amount per click or impression (say half a cent CPC or 10 cents CPM). BTW: I mentioned this idea to my 14 y.o. son and he has a REAL genius twist on this idea … now, he has to go into ‘stealth mode’ and work on that/ Still looking for ‘takers’ on my idea tho’ ….